Dr. Jeremy Brook experienced chiropractic care first as a child for well-being, and later as an adult for a life-changing injury. Rather than watch helplessly as Americans get sicker and sicker, he decided to do something about it and became a chiropractor. He spent years sitting in meditation, practicing on the yoga mat, getting and giving adjustments on the chiropractic table, and cross-training on the beach, to equip himself with the tools necessary to make himself strong to endure the highs and lows of life’s challenges. 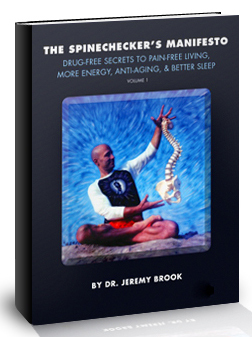 With the influence of Bruce Lee and Dr. Arno Burnier’s chiropractic training program, Dr. Jeremy Brook refined a body-mind training system that included rubber band speed training, indo board balance training, weight training, and a chiropractic-specific yoga sequence, that will be available on DVD in 2009. His success has been so positive that he was encouraged to share his techniques. Dr. Jeremy Brook has studied with some of the chiropractic profession’s living masters, such as Dr. Arno Burnier and Dr. Fred Schofield. He also has studied diligently with some of America’s greatest yoga teachers, Erich Schiffmann, Saul David Raye, and Chuck Miller to name a few. Dr. Jeremy Brook is also a Certified Chiropractic Wellness Practitioner (C.C.W.P.) through the International Chiropractic Association Council on Wellness Science. This practical research and science-based program, designed by wellness genius Dr. James Chestnut, addressed important health issues such as wellness-based nutrition/hygiene, wellness based exercise/fitness, and wellness-based stress reduction/positive mental attitude development. This program was the backbone for the scientific validation about the link between the spine, the nervous system, and total health. 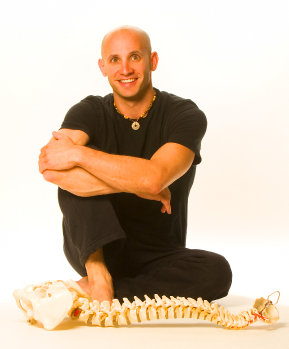 Currently, Dr. Jeremy Brook owns and runs The Life Center Chiropractic, in Los Angeles, a unique healing oasis that incorporates specific scientific chiropractic adjustments with yoga. He can also be found teaching Yoga Anatomy at America’s premier yoga studios.